Prop measures approximately 36" high x 28" wide. Prop is made of plastic and polyester. 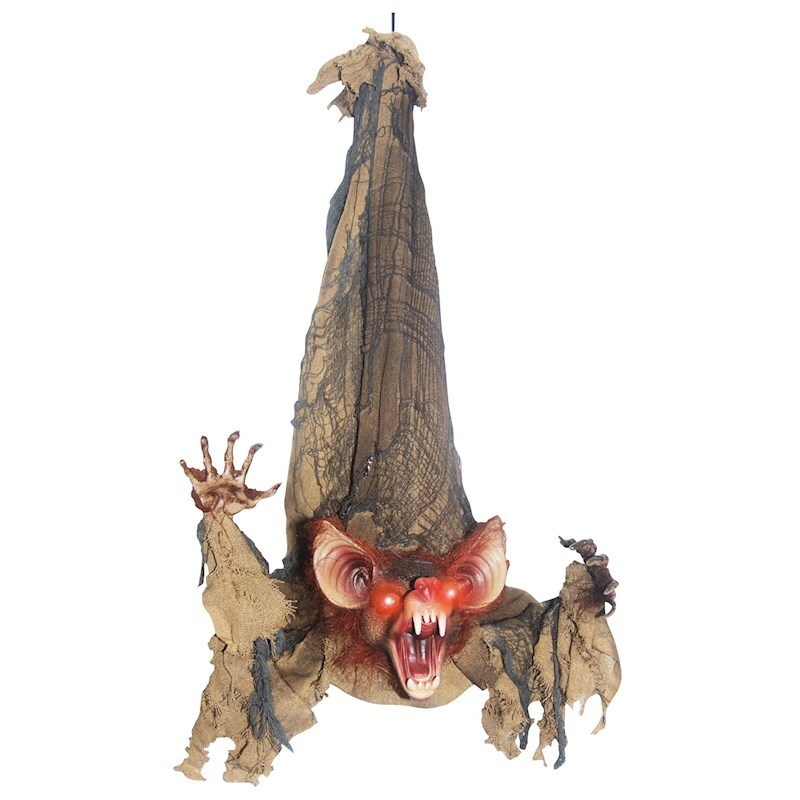 Features light up red eyes and both wings move up and down and bat emits a laughing sound. Requires (3) AA batteries (not included). Sound activated. For indoor/outdoor use.